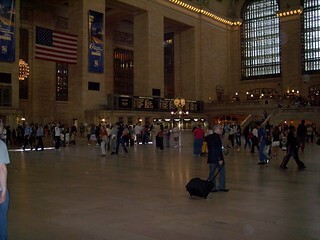 Grand Central Terminal marks the end of the Metro-North lines, as a result many of our journeys ended here. 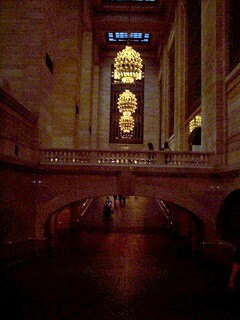 It is a very impressive station, well worth a visit. 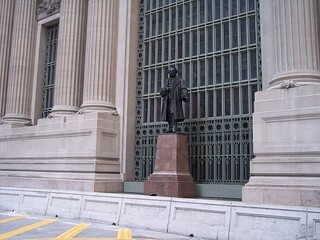 On the front of the building we find a huge clock and a statue of Cornelius Vanderbilt. 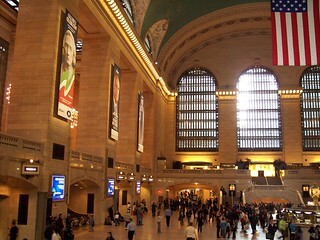 Although the station now only serves commuter trains, the main concourse on the upper level continues to bustle with people. 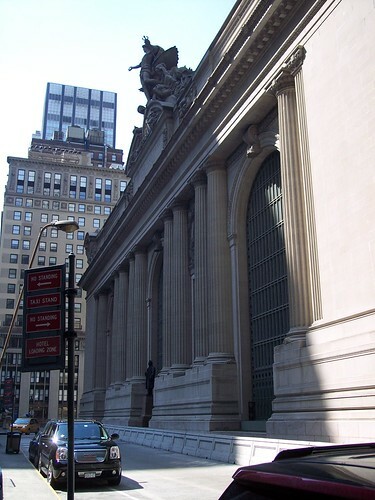 West of the main concourse is the arrivals room, where long ago travelers from around the country would enter New York. 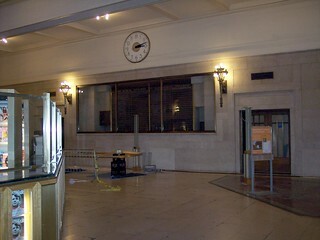 This was one of the first rooms to be renovated after the station's long slow decline. 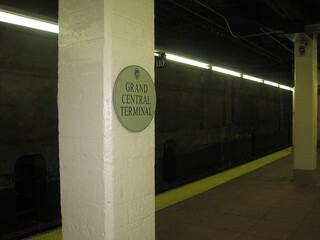 South of the main concourse are ramps to the lower level of the station. 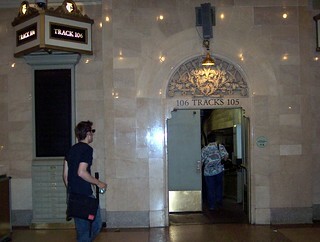 At the bottom of the ramps we enter the lower level concourse which sits beneath the main concourse. 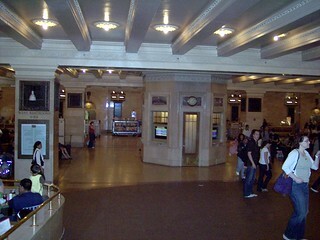 This level has now been transformed into a food court, although many trains still leave from its gates. 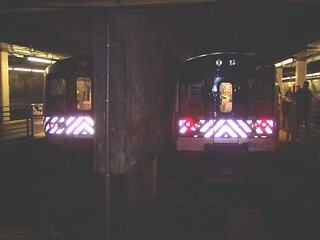 A platform on the lower level, and the train from one of our journeys. 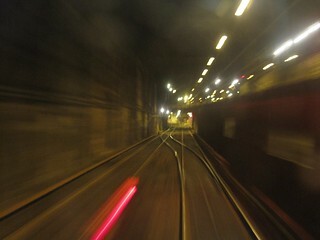 Inside the tunnels we see the split where we head down to the lower level. 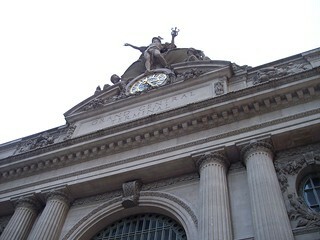 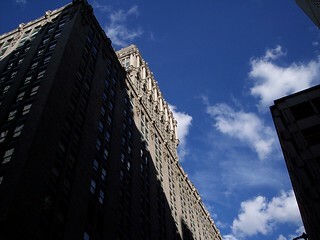 Up above the tracks sits the old New York Central building.